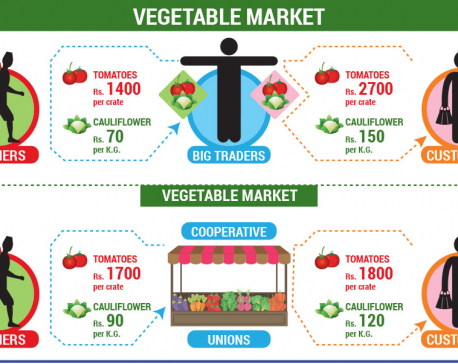 KATHMANDU, Nov 14: Farmers in Bhaktapur sell one kilo of big tomatoes to middlemen at Rs 60, while the same tomatoes cost Rs 115 per kilo at Kalimati retail market in Kathmandu, according to farmers and traders Republica talked to. Red potatoes fetch Rs 32 a kilo for Bhaktapur farmers and are sold at Rs 55 at Kalimati retail market. Similar is the case in Dhading. Big tomatoes fetch an average price of Rs 75 per kilo for Dhading farmers while the same tomatoes are sold at Rs 115 per kilo in Kalimati. 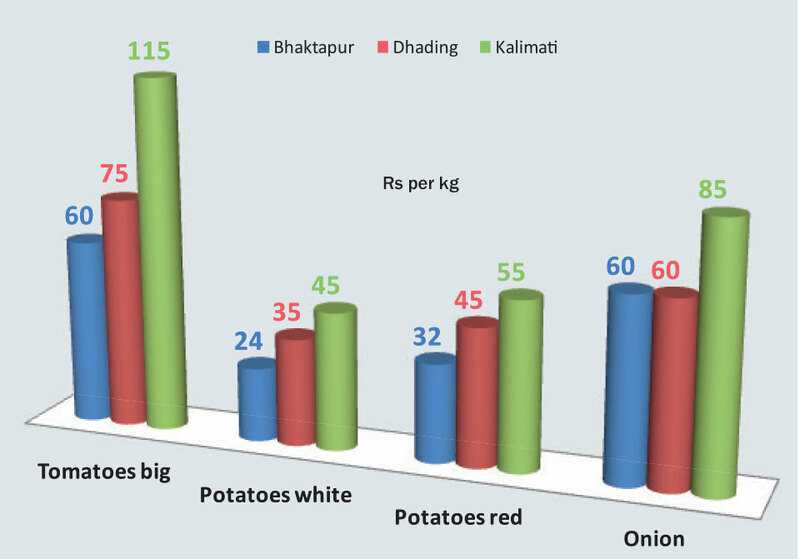 The retail price in Kathmandu and the price farmers are paid in Bhaktapur differ by Rs 25 per kilo of onion while the price of white potato varies by Rs 21. The yawning gap is also similar between the prices of these vegetable items in Dhading and Kathmandu. Bhaktapur and Dhading are the two districts supplying vegetables in bulk to urban centers like Kathmandu. Farmers in both districts said that they are paid far lower than the prices in Kathmandu due to the middlemen in the supply chain. While consumers are charged exorbitantly, farmers get a meager price for the veggies they produce. It's the middlemen who benefit at the expense of both farmers and consumers. Farmers and consumers both lament the government's reluctance to intervene in the market distortion. 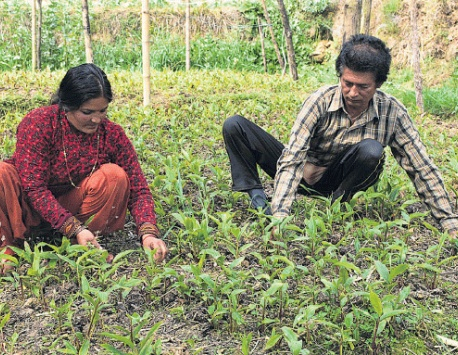 “Middlemen are overcharging but the government has not cared about monitoring,” said Ganesh Ram Suwal, president of Progressive Agricultural Municipality Committee, Bhaktapur, a local farmers' group. “Farmers are not behind the price hike for vegetables. It's the middlemen,” added Suwal. However, wholesalers at Kalimati believe that both middlemen and the Kalimati Fruit and Vegetables Development Board (KFVMDB) are behind the artificially high vegetable prices. 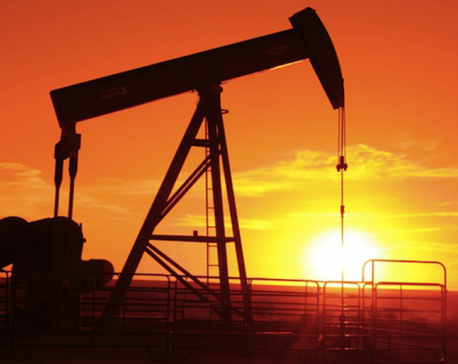 They further believe that government neglect and the resulting low output also eventually result in higher prices. “Laws in Nepal have not fixed the number of layers in the supply chain, which is causing a problem in controlling middlemen.” Shrestha added.